Brisbane has some of the best water quality in the world. Frequent monitoring at state and local levels ensures that water supplies stay pure and protected. Authorities test for a range of different factors including microbes and other contaminants. However, even at levels that are safe for human health, impurities in water can affect the taste. To tell the difference for yourself, try tasting a small amount of tap water and then a small amount of bottled reverse-osmosis filtered water right after. If you're living in Brisbane and looking for ways to improve the purity of water you drink, cook with, clean with and bathe in, we can help. 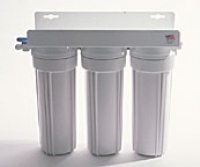 WFW is the leading supplier of water filters in Brisbane, and we have been for several years. 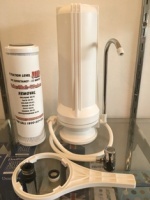 We have dozens of different systems, filters and accessories, depending on your need and capacity; whether it's a whole house reverse osmosis system or a simple benchtop unit to keep your drinking water pristine, we've got you covered. Take a look at our range via the menu to the left. If you'd like help picking out the right filtration system for your needs, just give us a call (free call) on 1800 217 726. We're happy to answer your questions and guide you to the right product. Alternatively, you can visit the store in person - we're located at Shop 6/165 Oxley Station Road, Oxley.